When you help your child purchase a house, are you entitled to an interest? As house prices continue to increase in the lower mainland, parents are helping finance their children’s house purchase. Few parents and children sign agreements or seek legal advice before they begin the process and one of the consequences is that parents and children have differing expectations as to how the contribution is to be treated in the future. A recent case from the court of appeal illustrates the difficulties families face when there is a disagreement. In MacKinnon v. Donauer, 2017 BCSC 411, a mother assisted her daughter and son in law by contributing $150,000 to help them purchase a house. They chose a house with a basement suite so that their mother and stepfather could live there. The arrangement was that mother could live in the suite rent-free indefinitely in exchange for helping with purchase. As time went on, mom helped out her daughter and son-in law with the expenses and maintenance of the house. After almost a decade, relations broke down and mom moved out. Subsequently, she sued her daughter for a 29% interest in the property based on her contribution of $150K at the time of purchase. At trial, the mother relied on the presumption of resulting trust and unjust enrichment to establish her interest and the trial judge awarded her a paltry $28,000 as payback for the mother’s assistance with maintenance and utilities over the years. A presumption of resulting trust arises when a person gives something to another for little or nothing. The rules of equity presume that a person bargains for something and does not merely give something away for free. Therefore, a person who contributes money to buy a house in exchange for nothing is presumed to have a piece of the purchased property even if they are not on title. The presumption of resulting trust can be set aside where a defendant can show that at the time the person contributed the money, the person did not intend to hold a beneficial interest in the property. The trial judge concluded that the mother gave $150K without intending to actually acquire a piece of the property in questions. To sue someone for unjust enrichment, a person must show (1) that the defendant received a benefit, such as a gift of $150K (2) that the person alleging the unjust enrichment was deprived correspondingly (out the $150K) and (3) that there is no juristic reason that the enrichment occurred. The trial judge found that (1) and (2) were met. However, he concluded that the family had entered into an arrangement in which the mother had exchanged money in turn for living in the suite, which was a valid “juristic reason” for the daughter and son to keep the money. The court found that the money that the mother had paid to her daughter to assist with maintenance and upkeep over the years was not part of the agreement and there was no juristic reason for them to keep the money. The mother then appealed the decision to the court of appeal. In MacKinnon v. Donauer, 2017 BCAA 437 , the court of appeal upheld the trial judge’s decision with respect to the resulting trust. 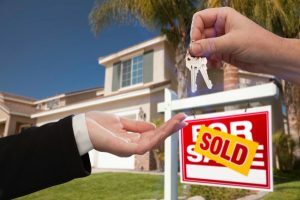 The court of appeal confirmed that there is no rule of law that an aging parent who makes a financial contribution to his or her children to help them buy a property will always be entitled to an interest in the property by resulting trust. As the trial judge found that the mother’s intention was to benefit by living in the basement suite, there was no gratuitous transfer where the presumption of resulting trust could arise. The mother intended to gain the benefit of living in the basement suite, not an interest in the property. The court appeal considered the trial judge’s holding that the daughter and son were not unjustly enriched because the “casual family arrangement” was a juristic reason for the daughter and son retaining the $150K. They found that the trial judge had erred in that he did not clearly set out the legal or factual basis for his conclusion. Additionally, the court reviewed other cases where other family arrangements did not bar a person from recovering money where the other elements of unjust enrichment were met. The error was concluding that the daughter and son should retain the entire $150K without considering other remedies. The law is that a remedy such as an interest in property should not be granted unless there is a reason an award of money is inadequate. The court of appeal found that there was no reason to conclude that the daughter and son in-law would not be able to pay a monetary award. The trial judge granted a monetary award to the mother calculated as 29% of the fair market value of the home by how many remaining years the mother could have expected to live in the house.